For any serious diver who would like to visit the most beautiful diving spots in the world, Puerto Galera is a must in the list. 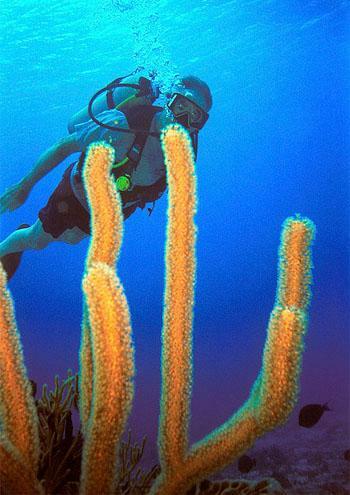 Excellent diving spots can be found minutes away from any beach point of the coastal town, and because of this, many certified diving shops are available around the municipality. Puerto Galera is a three hour bus ride and one hour ferry ride away from the Philippines’ Capital Manila and it is located 130 kilometers to Manila’s south and 14 nautical miles south of Batangas Port. Puerto Galera has such a diverse marine life, and is considered one of the best in the country, in Asia, and even the world. A testament to this is its being named Man and Biosphere Reserve by UNESCO back in 1973, and more recently being named “The Most Beautiful Bay in the World” in 2005 by The Most Beautiful Bays in the World Club, a UNESCO-recognized organization based in Europe. Many have compared Puerto Galera’s dive spots to another famous destination, Palau, but for a significantly lower price. There are a lot of choices that will cater to divers of all skill levels in Puerto Galera. Swim among different species of fish including angelfish, tuna, sharks, surgeonfish, and even the occasional school of dolphins. You can also find an abundance of colorful corals, sponges, crustaceans and famous nudibranch, more commonly known as sea-slugs. Novice divers can try diving in the Manila Channel and Coral Gardens. Manila Channel can be enjoyed by the beginner diver looking for practice or even the experienced diver just looking for e leisurely dive. The currents on the 18m deep channel remain at a constant for most of the year, and schools of small-sized fish can be seen all around the area. Coral Gardens is likewise a very “friendly” dive spot with a depth of 10m, perfect for snorkelers and underwater photographers because of the abundant light that highlights the breathtaking coral formation and marine creatures on the seafloor. For the more adventurous, there’s the 5-30m Sinandigan Wall which offers a profusion of sea-slugs in a vast array of lovely colors. The area is likewise known for its population of cuttlefish, groupers, barracudas and sharks. This area is not recommended for beginners due to the strong currents. Hole in the Wall is likewise recommended for intermediate divers, located in Escarceo Point. The name is derived from a short tunnel 12m down. Sweetlips, snappers and drummers can be seen at this area along with octopuses, turtles and sea snakes. For the expert diver, Kilima Point and Turtle Rock are just two of many great destinations. Kilima is a drift dive and divers are advised to go on a double tank. Check with dive-resorts for schedule since this dive can only be done on certain points of the year. A guide must likewise be present at all times. Turtle Rock on the other hand, is a 45m descent down Sinandigan Wall, and the name is derived from the shape of the rock at the bottom. Whip corals, sea-slugs and sweetlips are likewise common on this spot, as well as the occasional thresher shark. As with Kilima Point, this spot is only for the trained deep-sea diver. 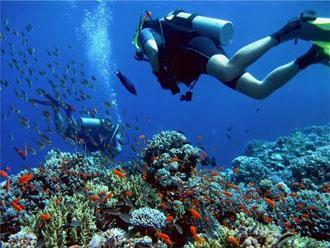 There are many other diving spots on Puerto Galera catering to diver ranging from the beginners to the technical deep-sea divers. Recommended Puerto Galera dive resorts are Atlantis Dive Resorts (043 2 873066/67/69); Cap’n Gregg’s (043.2873070/71) and Asia Divers (043.2873226). Jack Sterling the author of “Scuba diving in the Philippines” is based in Manila. He likes to write about Philippines and about traveling and diving in the Philippines as well as other parts of Asia.